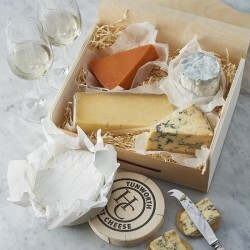 Our pick of the most exciting food hampers with artisan cheese and charcuterie. 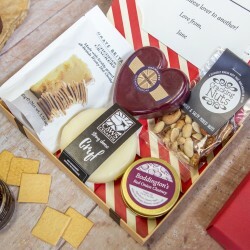 Looking to gift a delicious cheese and meat hamper this season? We've carried out the delightful task of trying multiple cheese and charcuterie hampers from different makers in search of the best ones. These curated picks in savoury hampers are ideal for cheese lovers and meat lovers alike, put together by the nation's top artisans using the best-tasting ingredients. Wrapped up beautifully and ready to be shipped, these are the cheese and meat hampers you should be going for this Christmas.